If you need more proof climate change is happening, a massive group of walruses in Alaska may persuade you.  As many as 35,000 were photographed on a beach near Point Lay, Alaska on Saturday after they couldn't find sea ice to rest upon, The Associated Press reported. 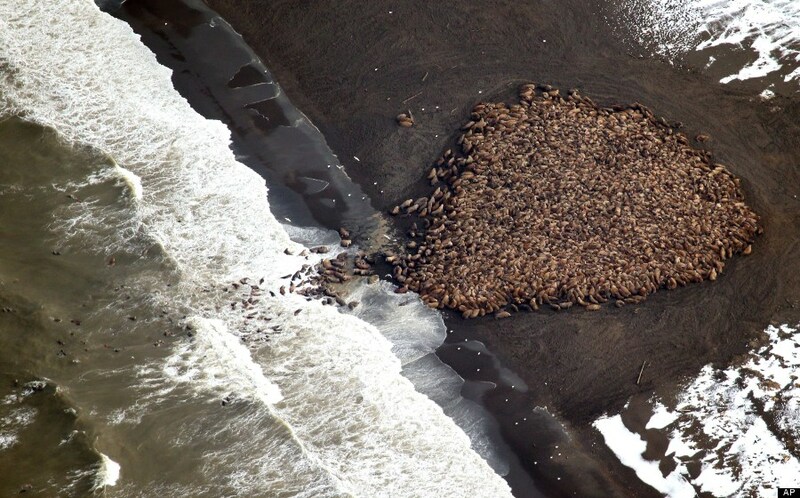 An estimated 35,000 walruses huddled up on a beach near Point Lay, Alaska. Just 1,500 walruses were spotted in the same are four days prior. 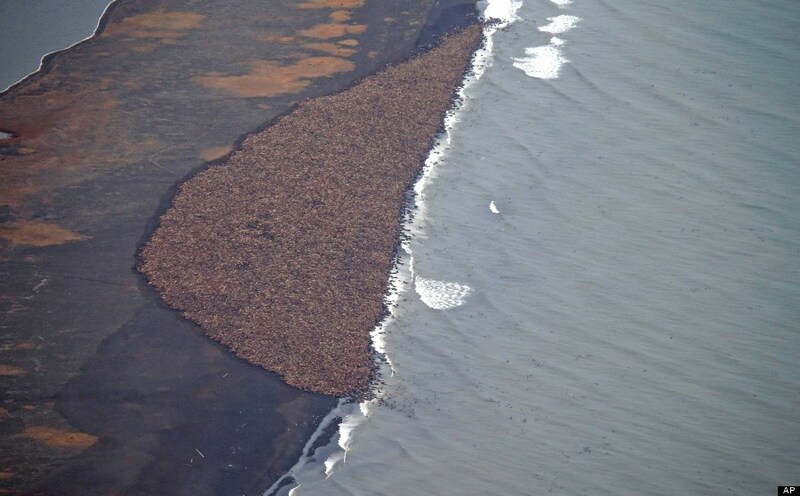 1,500 walruses congregate on a beach near Point Lay, Alaska. The gathering is believed to be the biggest "walrus haul-out" on record, according to Vox.com. Pacific walruses normally gather on ice in the Chukchi Sea, using floes as a platform so they can retrieve food from shallow waters. The animals cannot swim for very long and they use the ice for rest. Pacific walruses in the Chukchi Sea. But climate change has forced them to seek refuge on land. Chukchi Sea ice has retreated to the point that floes float above waters too deep for them to safely retrieve food. 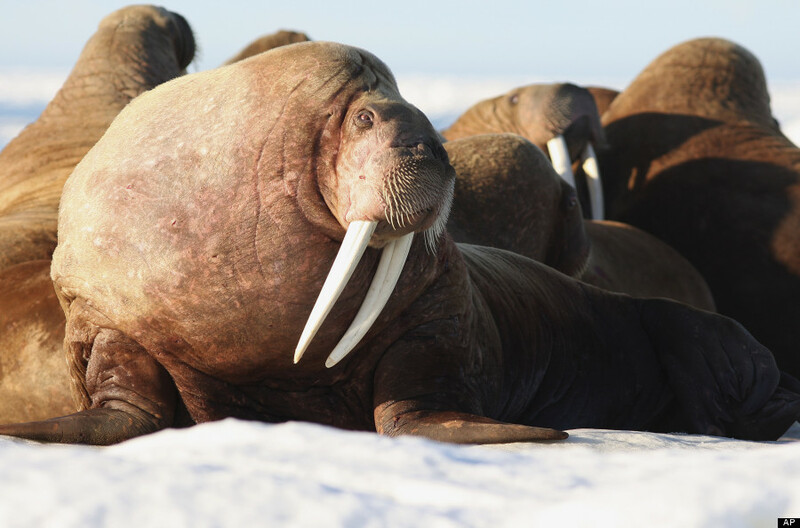 Research shows walruses have to expend more energy searching for food close to shore than they might when diving off ice floes, says the U.S. Geological Survey. The "haul-out" phenomenon was first noticed in 2007 and the number of walruses recorded has fluctuated from 30,000 in 2011 to around 10,000 last year, CNN reported. Thousands of walruses gather on a beach near Point Lay in Sept. 2013. The record gathering came in a year that Arctic sea ice reached its sixth-smallest extent on record, according to the National Oceanic and Atmospheric Administration (NOAA). Specific effects of the "haul-out" phenomenon are still being investigated. But Margaret Williams, managing director of the World Wildlife Fund's (WWF) Arctic program, thinks it's cause for concern. "The massive concentration of walruses onshore — when they should be scattered broadly in ice-covered waters — is just one example of the impacts of climate change on the distribution of marine species in the Arctic," she said in a statement.